NEW YORK, New York – Most people don’t give much thought to who owns a lot of the businesses in their area. They go about their day, picking up things here and there, and not giving much thought to the entrepreneur behind the business name. Some of the businesses that people pass by each day may be owned by the country’s veterans. In fact, according to the U.S. Census Bureau, there are 18.8 million veterans in the country, and around 405,000 of them are entrepreneurs. It’s estimated by the U.S. Small Business Administration that veterans are 45 percent more likely to be self-employed than non-veterans. This may be in part because they have a unique skill set to share and they have been taught leadership skills in the military that are a great foundation for entrepreneurship. When people help veteran businesses succeed, they are giving thanks and giving back to those who helped protect the country. Supporting their business is one way of saying thank you and giving something back to them that is meaningful. Veteran businesses employ around 6 million employees around the country, so when you support the business you are also supporting everyone else who works for that company. When a veteran’s business succeeds, it will have a positive impact on their community, as well as the country. Thriving businesses are good for communities and for the economy. Conducting ongoing business with veteran-owned businesses is an act of patriotism. 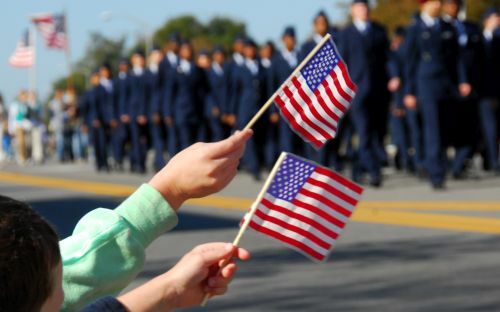 It helps to show one’s support for the military, and it shows current military members that once they become a civilian they may also be supported in their quest for a being a successful entrepreneur. After leaving the Marines, Post was equipped with the leadership skills that helped him identify problems, and be inspired to find the solutions. He saw a big problem with the pet food industry, in that the food is generally poor in quality, and made with ingredients that beloved pets should not be consuming. He believed pets deserved better food that was higher quality and made with only healthy ingredients, helping to keep them healthier and happier. That’s when he took his leadership skills and became an entrepreneur, helping to revolutionize the pet food industry, by creating the Hound & Gatos Pet Foods Corporation. Hound & Gatos Pet Foods Corporation is a leader in healthy pet foods, and three-time winner of the “Most Trusted Pet Foods Company” award by TruthAboutPetFood.com. Additionally, the company has won the “Top Dog Foods” three years in a row by Whole Dog Journal. They never use things found in other popular pet foods, such as generic livers, carrageenan, chemicals, unidentifiable additives, and preservatives. They have also never had any of their food recalled. Visit www.HoundGatos.com and discover the difference of premium quality hypoallergenic pet food. The products are distributed through Animal Supply Co., Pet Food Experts and Canada's Global Pet Foods. The foods are also available in Canada, at PetOnly.ca. Hound & Gatos Pet Foods is a result of one pet lover’s vision of providing only the best for his beloved pets. Will Post, CEO and founder, began Hound & Gatos with the mission to deliver the nutrition his pets (two Savannah cats and one bird dog) needed and deserved to be healthy. Today, Hound & Gatos Pet Foods provides award winning 100 percent animal protein (DNA tested) dog and cat foods with no fillers for pet lovers and their special pets across the United States and Canada. Customers can ask stores to carry the pet foods, which are supplied through distributors. For more information, visit www.HoundGatos.com.